HBC™ Conveyancing - How To Buy Property? It may seem obvious, but there is a lot to consider: the area you want to buy in; the space you’ll need to live in; the price of property that you can afford; the condition of properties you are happy with – the list goes on. Want to save money on your conveyancing and have excellent service? We provide instant estimates and practical advice from Scottish conveyancing solicitors. Our nominated lawyers are ready to move quickly on your house sale, purchase or remortgage. All legal work and Solicitors used and or work referred are Regulated and Authorised by the Law Society of Scotland in accordance with the Solicitors’ Code of Conduct and Scottish laws. You can be safe in the knowledge that all Scottish Lawyers hold professional indemnity cover and can provide excellent practical help. For further information on the help that is on hand just give us a quick call. The magic question. The value of any property is what someone will pay for it. That may sound fluffy, so here are some suggestions as to help you figure out what it’s worth to you. 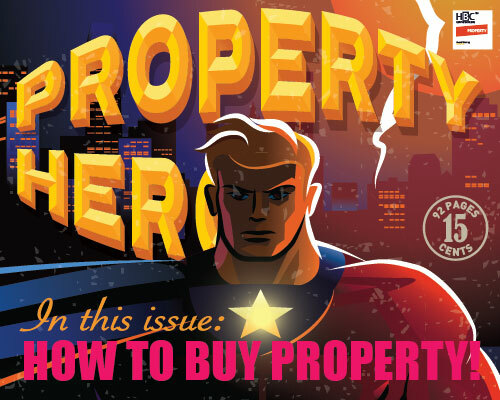 Make sure you obtain a copy of the Home Report for any property you like the look of. This will be available through the marketing estate agent. The Home Report will give you a ballpark valuation and indication of what the property is worth taking account of location, size and condition. View the property. Always do this as it will help you make up your own mind as to how you feel about it. You may only live in the property for a short while or maybe for the rest of your life, but the value is at least partly pegged to your own expectations. Consider whether the property is in a locale that would enable you to sell at least at market price, should you wish to at some point in the future. Be level headed. Just because you think you love it, it doesn’t mean everyone else will. You’re spending a lot of money so you’ll at least want to know that you’ll get it back if you sell. The type of offer you make for a property will often depend on the way it is marketed. The most common methods are ‘offers over’, ‘fixed price’ and ‘offers around’. By knowing what the seller hopes to achieve, you can better fine tune your offer strategy. ‘Offers over’ usually is the first pitch at a newly listed property and indicates that the seller and their agent are confident of an offer in excess of the price. Whether they achieve this or not is another matter. The remaining two tend to reflect a more agreeable and negotiable position. They are often where the seller is looking for a quick sale or has been struggling to generate enough interest. Mortgage lending is a competitive business. There are many deals out there and you should shop around. You can either go directly to the lenders or go through an intermediary called a mortgage broker. The advantage of an mortgage broker is that they should be able to offer you an enhanced choice of lenders. Beware of excessive fees. If using a mortgage broker, make sure that they are fully regulated by the Financial Conduct Authority (FCA) and ask what they charge for their service. Some mortgage brokers will not charge a fee for their services as they will receive payment from the mortgage lender for selling the product. Also be aware that often mortgage brokers may have associations with legal firms and may recommend their services. This is rarely a free of charge service and may result in you paying higher costs than if you went direct. You may end up offering for more than one property, especially where there is a lot of interest in the properties you like. Don’t become disillusioned! You’ll need a solicitor to make a formal offer for you and if you need to do this more than once, you don’t want to end up with large legal bills before you’ve even had a successful offer accepted. At HBC Conveyancing, we’ll make sure that each offer is free of charge until we help you offer for, and eventually buy your chosen home. It’s very important to make sure that your mortgage lending is in place as it can take some time for your lender to complete the required documentation and issue your offer of loan. Delay equals expense – so be organised.